A few weeks ago, fellow Professional Makeup Artist and Beauty Blogger Sonia Roselli submitted her (awesome) blog Glossible for affiliate linking consideration. She was rejected despite good content and 20 years of experience behind it because her social media presence was not flashy enough. What resulted was a huge controversy in the beauty blogging world, an epic “revenge post” that fueled the fire even more, and one unexpectedly viral quote from yours truly making the rounds on social media. So here is…The Problem With Beauty Bloggers. Glad I thought about it before I said it! The problem with beauty bloggers is not the bloggers. The problem is the image and expectation by major affiliates that in order to be a worthwhile #bblogger (which is synonymous with “expert” these days) you need to have an obsessive amount of promotional posting of (yourself wearing) the products that the brands who are paying to advertise want you to push. They want you to fit a certain mold and the backlash is from those who feel like their industry is being watered down for the sake of marketing. -and not to mention original and engaging content that fits word requirements, is on target for their economic/age demographics, and “catchy” enough to sell enough of what they want. All that while promoting and booking services around a client schedule, selling advertising, managing SEO, managing finances and sometimes employees, and oh yeah–DOING HAIR AND MAKEUP! It’s a ridiculous amount of output. I can honestly say that most people who are actively working in beauty do not have the time to do all of that and their “real” job. If they do, they are top of their game and make their living as being their own brand, like KJ Bennet & Bobbi Brown and hair gurus Ted Gibson and Sam Villa. So we are NOT going to tweet enough behind the scenes shots rocking ultra highlighted and contoured faces with bright blue lipstick and a thick cat eye and sky high heels for many affiliate’s liking… Because this is real life and we’ve probably got on some concealer, mascara, brows, and a pair of Converse. BUT AFFILIATES AND BRANDS DO NOT EVER want a consumer/reader to see that. It must be hyper slick and prepared to oversell at all times in order for your perspective as a professional in your own field to be heard, and that’s what people are all annoyed about. No one is saying you’re not allowed to be beauty bloggers; but we pros who are also beauty bloggers don’t want to be viewed or judged by the same standards because we have a different perspective as professionals who have devoted our lives to this business. Operating as a trained beauty professional or expert who ALSO happens to be a blogger and is looking for a platform to promote their professional expertise and opinion is an entirely different arena; different expectations, different qualifications, experience. Why not factor in and judge affiliate “worth” on the elements that make our variety of beauty blogging unique, like the variety of work we do in a varied settings on every day people to celebrities who set the trends (with our help)? There should be value placed fairly on our work and ideas inspired by years of dedicated study and practice. After 20 years in the biz, Sonia has been told that is not valid because she doesn’t sell enough ads or elicit enough comments on her posts. 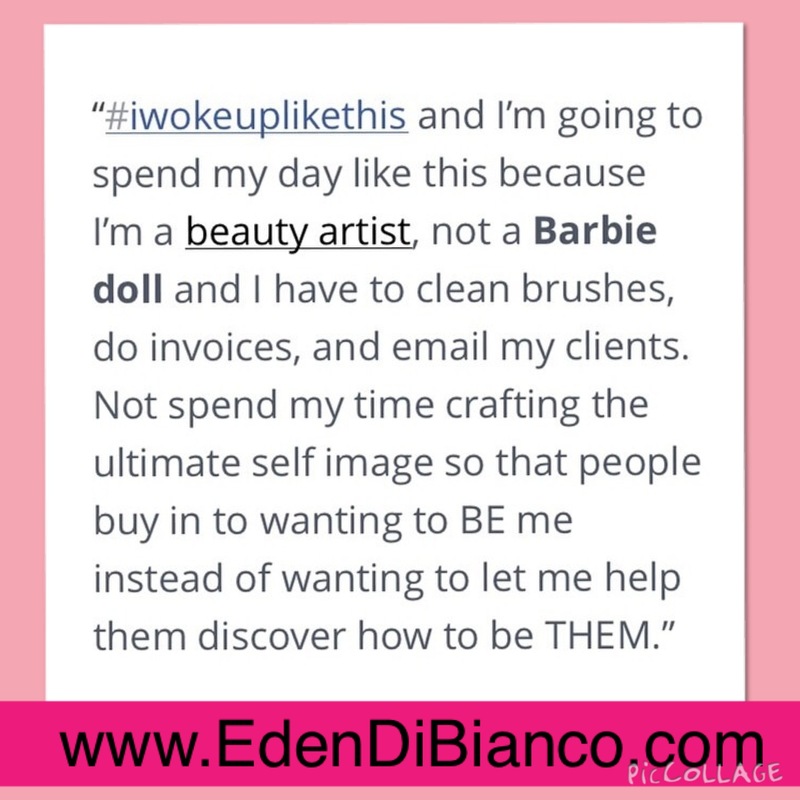 The frustration expressed by myself and other artists on Glossible’s piece or on social media is not against people but against the tone & direction of the beauty biz that has evolved around the hyper social media beauty sales culture. Period. It’s to tell affiliates that after years in the biz in the trenches, it pisses us off to be judged by the same criteria as those who make a living off being a media personality in order to gain access to a platform within our own profession and reduced to advertising tools. That’s not petty jealousy; this is our job. I enjoy reading perspective from regular folks who are not in the biz, but I also process that type of info differently because what works for that one person may not stand up to my demands as as pro under heavy lighting or underwater or we have different ideas on what defines “quality” or “value” in a product. Decision makers at affiliates should too. Just one artist’s opinion. I welcome (respectful) opinions and comments in return. Flame me and you’re done. Ain’t nobody got time for that. 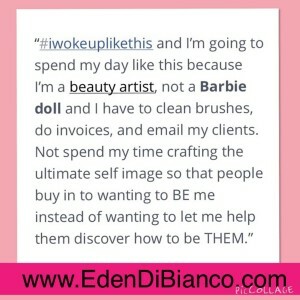 *If you are just a random person with a small blog who is not part of an affiliate (I’m certainly not, I blog for my clients and fellow pros I do not have time to be a full time blogger) then this article probably has nothing to do with you because you are just sharing your perspective as a person who likes and uses makeup which is a fantastic way to share your experience and connect with like minded people. I salute your interest in beauty because it is my passion, and please keep learning and growing your body of knowledge!